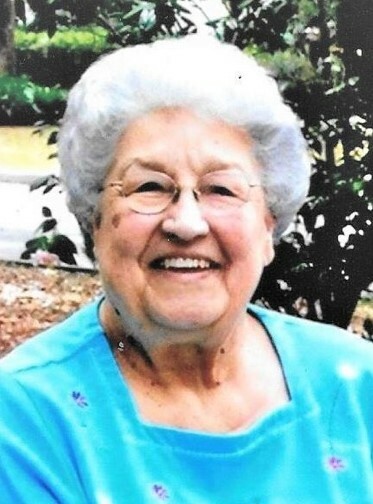 Peggy Edwards Stone, age 82, of Baxley died Wednesday, November 14, 2018 at her residence under the care of Community Hospice. Mrs. Stone was born August 31, 1936 in Appling County to the late Robert Lee Edwards and the late Ola Olive Hollis Edwards. She was a member of Melton’s Chapel United Methodist Church. Mrs. Stone was employed by the Appling County Board of Education as a Paraprofessional and was a member of the Retired Teachers, O.P.E.L. Club and United Methodist Women. She was preceded in death by her husband, Herbert Lloyd Stone, a granddaughter, Nicole Stone, three sisters, and a brother. Survivors include her sons & daughters in law, Randy & Faye Stone of Baxley, Terrell & Sue Stone of Alma & Roger & Debbie Stone of Baxley. Ten grandchildren, twenty great-grandchildren, eight great-great grandchildren and a host of nieces and nephews also survive. A Graveside service will be held Friday, November 16, 2018 at 11:00 a.m. in the Melton’s Chapel United Methodist Church Cemetery with Rev. Danita Knowles & Rev. Stacy Stone officiating. Active Pallbearers will be Al Marsh, Josh Stone, Timothy Stone, Rodney Edwards, Bob Stone & Jason Stone. Honorary Pallbearers will be members of Melton’s Chapel United Methodist Church & Community Hospice of Vidalia. Visitation will be Thursday evening 6:00 until 8:00 p.m. at Swain Funeral Home. Remembrances may be made to Melton’s Chapel United Methodist Church Building Fund.